Jojoba Oil,the liquid wax closely resembles that of our own skin sebum, makes it an excellent moisturizer and ideal for all skin types. 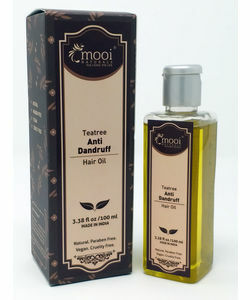 The oil is rich in Vitamin E and also contains Vitamin A, B1, B2 and B6, gently unclogs the pores,effective against wrinkles, and lifts grime and imbedded impurities.Known for its light texture and great absorption properties,this organic oil is nature's tonic for the scalp that helps in frizz control and gets the perfect shine. Jojoba Oil,the liquid wax closely resembles that of our own skin sebum, makes it an excellent moisturizer and ideal for all skin types. The oil is rich in Vitamin E and also contains Vitamin A, B1, B2 and B6, gently unclogs the pores,effective against wrinkles, and lifts grime and imbedded impurities.Known for its light texture and great absorption properties,this organic oil is nature's tonic for the scalp that helps in frizz control and gets the perfect shine. Non-greasy & Keeps Skin Hydrated. Vitamin Rich and Reduces Wrinkles. 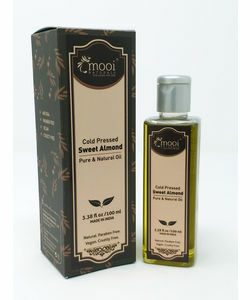 Avoids Dandruff & Strengthen Hair Follicles. 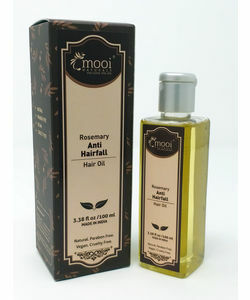 Adds Shine & Softness to Hair.